The Ceylon Tea Traders Association recently pointed out that the new revised high levels of taxation introduced to investors in the plantation sector will demotivate entrepreneurs as heavy taxation will reduce profits and leave very little accumulation of funds for re-investments. The association’s reappointed Chairman Anslem Perera addressing at the 124th Annual General Meeting (AGM) urged National Policies and Economic Affairs State Minister Dr. Harsha de Silva to address this issue that has been thrust upon them by the new taxation system that will seriously effect investment in the tea trade. “This is an era where rural employment is only possible by offering higher wages, better status and good working conditions to the young workers. The burden of heavy taxes will leave very little room for reasonably attractive wages to motivate village youth to stay back in the village. If not, they will naturally look for greener pastures in the big cities or overseas,” he added. Noting that specialised warehousing was on a concessionary tax rate in the past, he said that this has now been brought into the same level as cooperate taxes, which will demotivate investors in creating much needed state of the art warehouses to meet international food standard. He also said that despite announcing the lift on glyphosate ban in April, lift after two months it has still not been gazetted and regularized. “It is ironic to note that three years ago the ban was effective from the very next day after the announcement, but de-banning of same takes many months to be implemented – this is the beauty of bureaucracy at its highest,” he pointed out. He said the latest negative development as a consequence of the ban on glyphosate brought in greater disaster when Japan announced that they were imposing higher maximum residue levels for Hexaconazole and MCPA, while European Authorities have tightened on Diuron. According to him shipments in Japan were held back and some returned as the MRL levels that were set made conformity almost unachievable. The crisis has developed into international proportions. “Japan has already threatened total suspension of Ceylon Tea if the ban on glyphosate is not lifted immediately. We will then face an economic disaster,” he cautioned. It has been revealed that the proposed revisions relating to the MRLs of some chemicals had been advised as way back as year 2017 by the Japanese authorities to the Embassy of Sri Lanka in Japan. This was well in advance of their introduction which would have given us adequate time for the submission of an appeal at a comfortable higher level. “The embassy in 2017, perhaps due to an oversight, failed in their duty to transmit this information to the Tea Board and TRI in time. This naturally made the Japanese authorities place default higher levels for MRLs. Once again a disastrous bureaucratic breakdown of a different dimension,” Perera said. He asserted that the TRI is now the process of organising the required field trials to determine the revised residues for MRLs. “Reliable sources have informed us that Japanese Authorities are certainly in favour of revising the MRLs of Hexacionazole and MCPA based on TRI’s field trial data,” he quipped. The imprudence of our authorities has already benefitted our competitors, as replacements for rejected consignments are being purchased from them, Perera lamented. In the event of a total ban from Japan he warned that prices will be impacted seriously and lower auction prices will result in serious revenue losses to the entire plantation industry impacting the livelihood of over two million individuals involved in the industry. “This will be a needless disaster inflicted upon the Tea Industry and consequent financial, commercial and credibility losses forced upon us will certainly be irrevocable,” he stressed. He reiterate that the RPCs must act with trust and responsibility keeping to their promise as their fine quality teas are sort after by the Japanese buyers. “The prices that your teas fetch when they are free of MRLs, I am sure are attractive enough to keep away from the use of weedicides. Please do not let exporters and Japanese buyers be heavily burdened by these heavy expenses and lose confidence in you” he added. Another disaster in the making Perera highlighted as the seriously suspected adulteration of tea with unauthorised additives such as glucose and sugar. Producers must act with caution and responsibility. “Tea is a food product, not a cosmetic item!” he added. Noting Short term profits are short lived, he said those who dwell in such practices will soon suffer adverse consequences. “Authorities must crack down on them and bring them to book. Ceylon Tea has a reputation of being the cleanest tea in the world. Don’t let us loose this. Once lost, regaining this status will not be an easy task,” he stated. 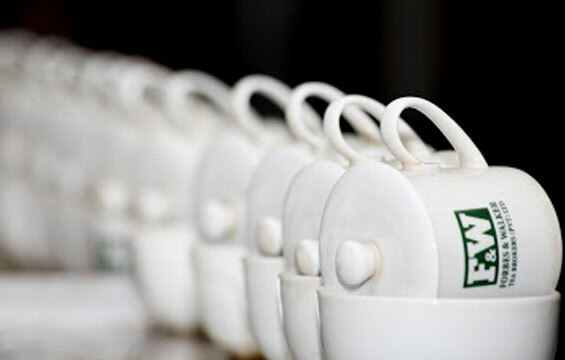 Further on the challenges that the industry faces Perera noted that six of the larger Middle Eastern buyers of Ceylon Tea continue to face turmoil. “In consequence demand is further reduced. The Russian and Turkish de-valuations in their currencies have resulted in weaker buying power. Sanctions on Russia and Iran too have created practical payment issues for export remittances. Volatility in the Middle Eastern region continues. Syria a previously a lucrative market is now in shambles. The EU and US markets continue to face financial challenges,” he said. In terms of weather he said the favourable conditions prevailed during the second half of the year and the consequent improved cropping helped production to catch up and surpass the poor results of the preceding year. 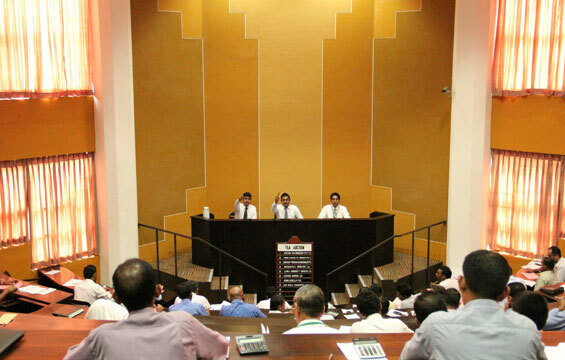 The notion of computerising the Colombo Tea Auction has been on the CTTA’s agenda for almost two decades. “I would be remiss if I did not mention here, Minister, and express to you the profound gratitude of the Colombo Tea Traders’ Association, that it was your pioneering vision, conceived nearly 18 years ago of an Integrated Computer System for Automation of Auction Procedures of the Colombo Tea Auction, that first drew the attention of the Tea Trade to this progressive initiative. He said the concept of ‘Computerisation of the entire Value Chain of the Tea Industry was recently proposed by the immediate past Chairman of the Tea Board. This met with the unanimous concurrence of the CTTA Committee and a mechanism for funding it is being examined. 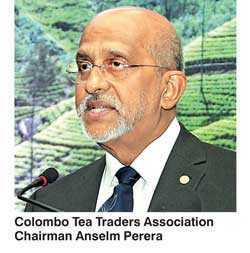 Ceylon Tea Traders Association Chairman Anslem Perera said Sri Lanka’s tea industry should capitalise on China and India that are proving to be potential large markets with their rapidly increasing populations and their ever growing thirst for tea. “As we know their own production cannot meet their growing domestic requirements. Hence we should actively nurture these markets,” he told addressing at the 124th AGM last Friday. He insisted the Tea Board with the promotion and marketing committee to direct their attention to disbursing the already accumulated promotion fund for international initiatives in an aggressive and objective manner to capture these very important markets. “If we do not move forward with our promotion efforts overcoming bureaucracy, we will allow our competitors to have a lead over us in these new markets,” Perera added. He said the tea industry has failed to keep abreast of technological advances in its value chain though I hasten to add, not through the lack of trying.